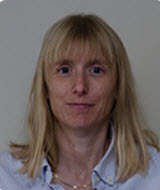 Kristen Bowsher, Ph.D. has worked for the Food and Drug Administration (FDA) as a scientific reviewer in the Center for Devices and Radiological Healths Office of Device Evaluation for 20 years reviewing neurological and physical medicine devices. Before coming to the FDA she received a Bachelor of Science degree in Electrical Engineering from the University of Massachusetts (88) and Masters of Science and Doctorate degrees in Biomedical Engineering from the University of Virginia (91 and 94). Dr. Bowsher has reviewed a wide variety of neurological and physical medicine devices and her expertise lies in neurostimulation and brain to computer interface (BCI) devices. She has been active in enhancing the transparency of the FDA for the neurological devices and in helping medical device sponsors navigate the regulatory landscape. She recently co-organized a workshop held at the FDAs White Oak Campus in Silver Spring, Maryland entitled, Brain-Computer Interface (BCI) Devices for Patients with Paralysis and Amputation that was held in November of 2014. The workshop purpose was to open discussion and obtain public feedback on scientific and regulatory considerations associated with BCI devices for patients with paralysis or amputation. Miyoung Chun, Ph.D. is Executive Vice President of Science Programs at The Kavli Foundation. 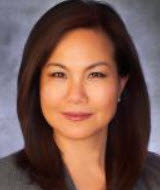 Dr. Chuns career spans a wide range of experience in academia and industry. Her academic career began as an Assistant Professor of Biochemistry and a member of Whitaker Cardiovascular Institute at Boston University School of Medicine in 1995. There she taught in the areas of cell biology and molecular medicine, and conducted research in signal transduction of G-protein coupled receptors. From 1999 to 2004 she worked for Millennium Pharmaceuticals Inc. as a scientist and project leader, where her research focused on genomics/functional genomics and on molecular imaging in drug discovery and development. She discovered and characterized novel genes that are important to inflammatory and cardiovascular diseases, and has over 30 U.S. and International issued/published patents. In 2004 she moved back to academia as Assistant Dean of Science and Engineering at the University of California, Santa Barbara (UCSB), in particular serving the California Nanosystems Institute. She was also appointed Director of International Research Advancement at UCSB. In this role she was active in building partnerships among academia, government and industry around the globe. Dr. Chun was Vice President of Science Programs at The Kavli Foundation since 2007 and became Executive Vice President of Science Programs in 2013. She obtained her Ph.D. degree in Molecular Genetics from The Ohio State University in 1990 and was a Postdoctoral Fellow at MITs Whitehead Institute studying the cell and molecular biology of receptors. Dr. Catherine Cotell is Director of IARPA's Office of Incisive Analysis. 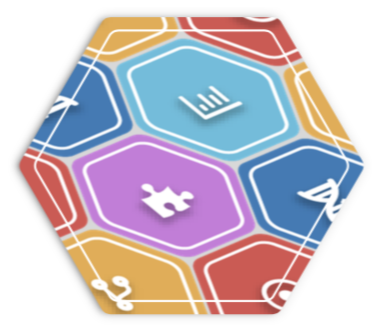 She joined IARPA in November 2014. Dr. Cotell's career has been dedicated to delivering innovative technology-based solutions to both the Intelligence Community (IC) and the Department of Defense. 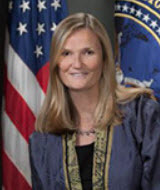 She served as a science, strategy and transition advisor to the Basic and Applied Sciences Department at the Defense Threat Reduction Agency for Analytic Services Inc. and as Chief Scientist at Noblis. As Vice President at In-Q-Tel, Dr. Cotell launched In-Q-Tel's University Outreach program and managed In-Q-Tel's largest technology practice, Applications Software & Analytics, investing on behalf of the IC in knowledge management, search and discovery, machine translation, data visualization, digital media, gaming, modeling and simulation, as well as collaboration and geospatial tools. 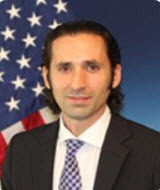 Prior to In-Q-Tel, Dr. Cotell was head of Technology Transfer at the U.S. Naval Research Laboratory where she managed and licensed the largest intellectual property portfolio in the Department of Defense. Dr. Cotell holds seminal patents in the field of laser deposition of biocompatible coatings for medical implants. Dr. Cotell began her career as a member of technical staff at AT&T Bell Laboratories. She holds Ph.D. and S.M. degrees in metallurgy and materials science and engineering from the Massachusetts Institute of Technology and a B.A. in chemistry and mathematics from Wellesley College. Gregory Farber, Ph.D. has a B.S. from Penn State University in chemistry (1984) and a Ph.D. from MIT in physical chemistry (1988). Dr. Farbers research in graduate school involved determining the three dimensional structure and mechanism of the enzyme xylose isomerase in the laboratory of Dr. Gregory A. Petsko. After graduate school, Dr. Farber received a Life Sciences Research Fellowship to work on mechanistic enzymology with Dr. W. W. Cleland at the University of Wisconsin. Following his postdoctoral fellowship, Dr. Farber returned to Penn State as an Assistant Professor of Biochemistry and rose to the rank of Associate Professor with tenure by 1998. His research included work on structural movies of enzyme action, molecular evolution, and mechanistic enzymology. Dr. Farber moved to the National Center for Research Resources (NCRR), part of NIH, in 2000. 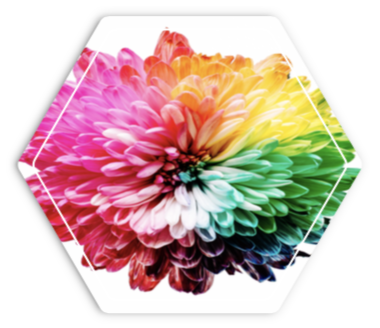 At NCRR, he managed a number centers and individual investigator awards in technology development and bioinformatics, as well as a cohort of interdisciplinary research centers. 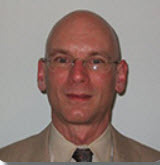 In June 2011, Dr. Farber became the Director of the Office of Technology Development and Coordination at the National Institute of Mental Health (NIMH). That office is responsible for coordinating all technology development and bioinformatics activities at NIMH including common data element activities, overseeing the NIMH Data Archive, managing the NIMH component of the BRAIN Initiative, managing the Human Connectome project on behalf of the NIH Neuroscience Blueprint, and also overseeing the NIMH small business program. Walter Koroshetz, M.D. is the Director of the National Institute of Neurological Disorders and Stroke (NINDS) and works to manage the taxpayers investment of $1.5 billion in NINDS research to advance neuroscience and reduce the burden of illness due to neurological disorders. 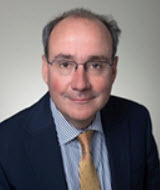 Before coming to NIH, Dr. Koroshetz was a Harvard Professor of Neurology, Vice Chair of Neurology at the Mass General Hospital, Director of Stroke and Neurointensive Care, and a member of the Huntingtons disease unit. His research activities spanned basic neurobiology to clinical trials. A graduate of Georgetown University and University of Chicago Medical School, he trained in internal medicine and neurology. 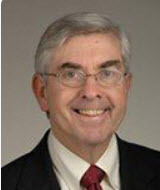 Allan Jones, Ph.D. is the Chief Executive Officer of the Allen Institute. Jones joined the Allen Institute in 2003 and has been instrumental in building a multidisciplinary team of engineers, scientists and managers, setting industry standards to create a systematic approach to answer questions in neuroscience. In his first three years, Jones worked closely with the Institute founders as well as science and business advisors to lead the drive to create the Allen Brain Atlas, a comprehensive gene expression atlas of the mouse brain. In 2011, Jones announced the Allen Institute had completed an online, interactive atlas of the human brain. Originally from Wichita, Kansas, Jones received a B.S. in biology from Duke University and Ph.D. in genetics and developmental biology from Washington University School of Medicine. After a brief period as a post doc at the University of Pennsylvania, Jones joined Avitech Diagnostics, a small start-up company in Philadelphia. He moved to Seattle in 1998 to work for Rosetta Inpharmatics, which was later acquired by Merck and Co. As a key collaborator with a variety of organizations worldwide, Jones attended both the European Union's announcement in February 2013 of the Human Brain Project, a 10-year project to map and model the human brain, and President Obama's White House announcement in April 2013 of the BRAIN Initiative, a new Presidential focus aimed at revolutionizing our understanding of the human brain. Jones currently serves on several advisory boards, and is Chair of the World Economic Forum's Global Agenda Council on Neuroscience and Behavior. James Olds, Ph.D. became the Assistant Director for the Directorate for Biological Science (BIO) at the National Science Foundation in October 2014. Before becoming BIO's AD, Olds was at George Mason University as director and chief academic unit officer at the Krasnow Institute for Advanced Study and as the Shelley Krasnow University Professor of Molecular Neuroscience. Under Olds' leadership at Krasnow, the International Decade of the Mind project started. This project helped shape President Obama's BRAIN Initiative. His scientific interests focus on the functional role of the mammalian neocortex, hippocampus and cerebellum, in health and disease, with special emphasis on how these highly ordered neuroanatomical regions interact to store and retrieve complex memories (ranging from face recognition to motor programs). Olds earned his undergraduate degree in chemistry from Amherst College and his doctorate in neuroscience from the University of Michigan in Ann Arbor. Alyssa Picchini Schaffer, Ph.D. is a Senior Scientist at the Simons Foundation, where she manages the Simons Collaboration on the Global Brain (SCGB). 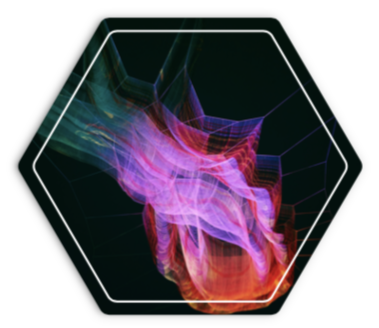 The SCGB aims to expand our understanding of internal brain processes through computational approaches and cutting edge experimental technologies, in order to discover the nature, role, and mechanisms of neural activity that produce cognition. Dr. Picchini Schaffer is a neuroscientist and science communicator with an exceptionally diverse background and expertise in neural stem cell biology, pharmacology, policy and media across business, government, and academic sectors. She is passionate about fostering collaboration among multi-disciplinary teams to address significant questions in neuroscience. Before joining the Simons Foundation, Alyssa was the Scientific Director of TEDMED, an independent division of TED focused on science, health and medicine. 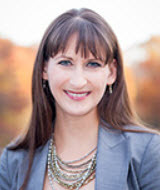 Dr. Picchini Schaffer earned her PhD from Columbia University, and is an alumna of the AAAS Science and Technology Policy Fellowship and Lafayette College. Justin Sanchez, Ph.D. joined DARPA as a program manager in 2013 to explore neurotechnology, brain science and systems neurobiology. Before coming to DARPA, Dr. Sanchez was an Associate Professor of Biomedical Engineering and Neuroscience at the University of Miami, and a faculty member of the Miami Project to Cure Paralysis. He directed the Neuroprosthetics Research Group, where he oversaw development of neural-interface medical treatments and neurotechnology for treating paralysis and stroke, and for deep brain stimulation for movement disorders, Tourettes syndrome and Obsessive-Compulsive Disorder. 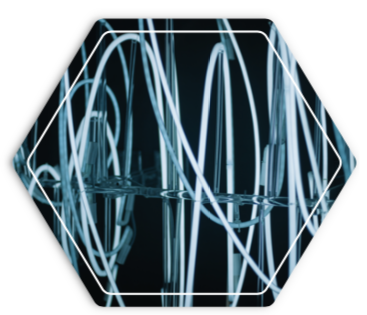 Dr. Sanchez has developed new methods for signal analysis and processing techniques for studying the unknown aspects of neural coding and functional neurophysiology. His experience covers in vivo electrophysiology for brain-machine interface design in animals and humans where he studied the activity of single neurons, local field potentials and electrocorticogram in the cerebral cortex and from deep brain structures of the motor and limbic system. He is an elected member of the Administrative Committee of the IEEE Engineering in Medicine and Biology Society. He has published more than 75 peer-reviewed papers, holds seven patents in neuroprosthetic design and authored a book on the design of brain-machine interfaces. He has served as a reviewer for the NIH Neurotechnology Study Section, DoDs Spinal Cord Injury Research Program and the Wellcome Trust, and as an associate editor of multiple journals of biomedical engineering and neurophysiology. Dr. Sanchez holds Doctor of Philosophy and Master of Engineering degrees in Biomedical Engineering, and a Bachelor of Science degree in Engineering Science, all from the University of Florida. 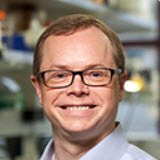 Nelson Spruston, Ph.D. is a Scientific Program Director at the Janelia Research Campus. Dr. Spruston received a BS in physiology from the University of British Columbia and a PhD in neuroscience from Baylor College of Medicine. He moved to Janelia in 2011 after spending the first 16 years of his academic career in the Neurobiology department at Northwestern University. Dr. Spruston was attracted to Janelia by its unique research environment and the opportunity to contribute to further development of Janelia as a Scientific Program Director, by recruiting new scientific talent, mentoring exceptional young scientists, and catalyzing team projects. His lab aims to understand how the properties of individual neurons contribute to the computational performance of neural circuits controlling cognition and behavior. Most of this computation occurs in dendrites, so much of his work has focused on how structurally and molecularly sophisticated dendritic trees integrate thousands of synaptic inputs to generate action potential firing in the axon. His lab has studied how dendritic excitability is determined by the interactions between dendritic branching and the properties and distributions of dendritic ion channels and synapses, leading to insight concerning the role of backpropagating action potentials and dendritic spikes in synaptic integration and plasticity. At Janelia, he is continuing this line of work, extending it to examine the integrative function of a variety of genetically defined cell types in the hippocampus.